This wedding was everything! It captured so many elements we strive to include in our work. First and foremost it had to reflect the personality of it's lovely couple. 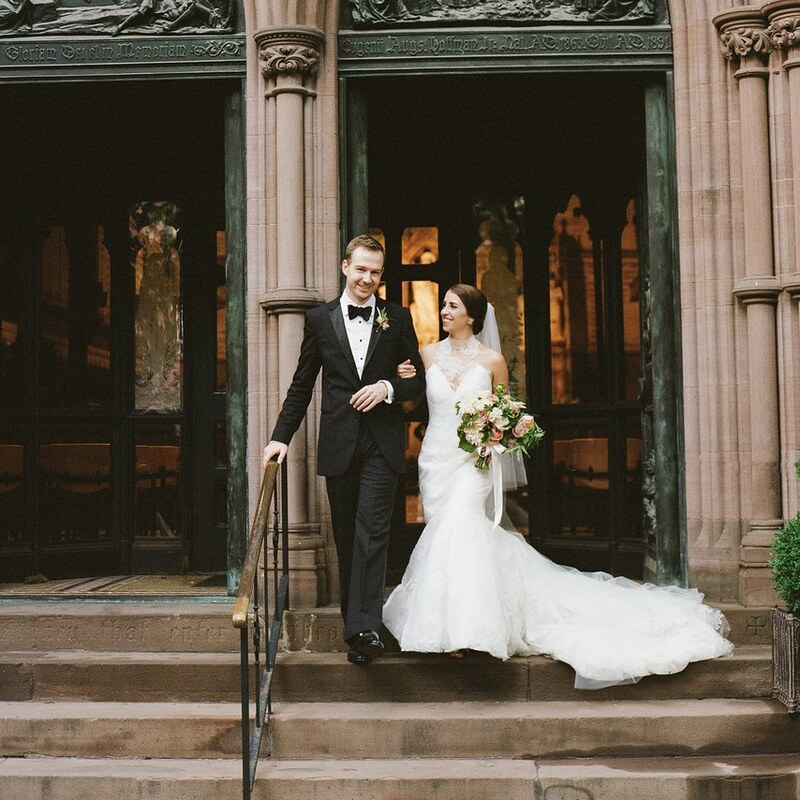 Both Tom and Sara wanted to express their love of New York's rich architectural history and a desire to bring some glamour and old world charm to their wedding. We were thrilled to have their beautiful day featured on Brides. The wedding took place in the exquisite High Line Hotel. 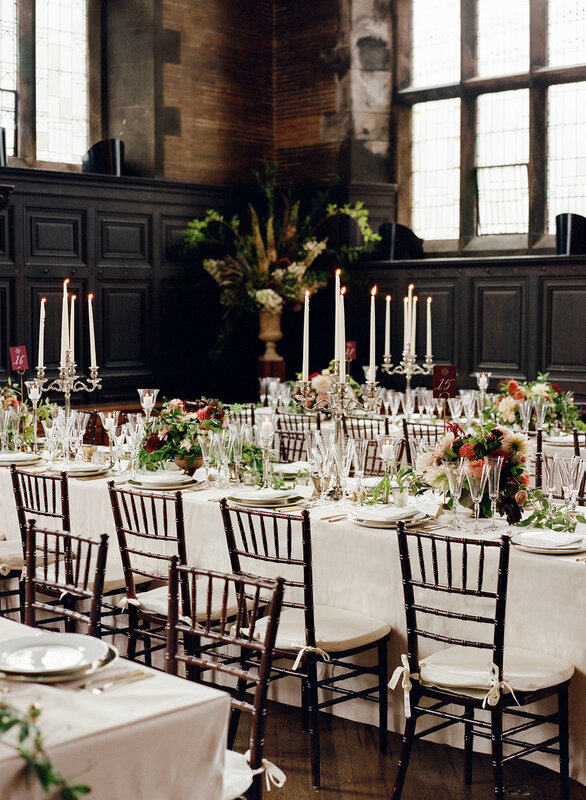 Once a seminary, this gothic venue provided a perfect backdrop all the rich details this wedding embodied. Event planner Danielle Elder of Classic Events NYC, set the stage for our studio to design artful and overflowing floral displays throughout the venue. 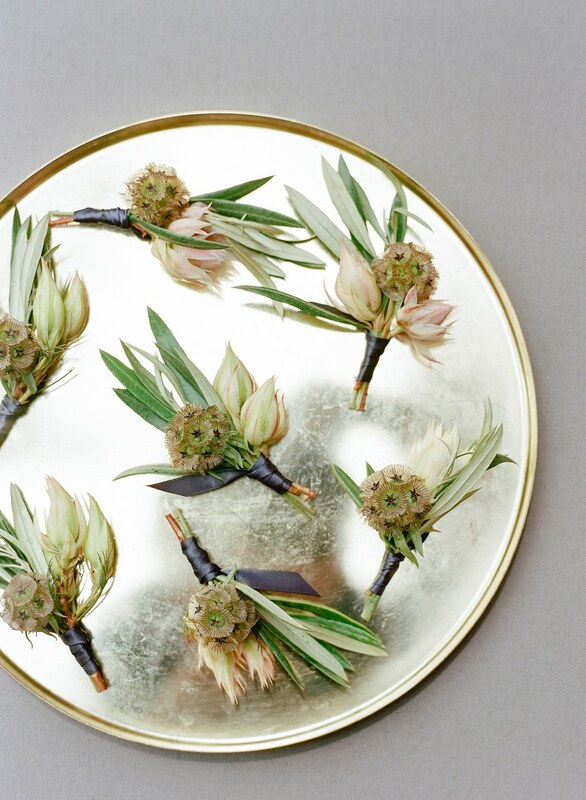 It started with bouquets and boutonnieres for the bridal party featuring creamy ivories, champagnes and soft blush pinks along with bits of textural greens. For the ceremony, we kept the colors white and green by creating a lush floral backdrop along the alter with two large urn arrangements of larkspur, lace cap hydrangea and roses to flank the couple. 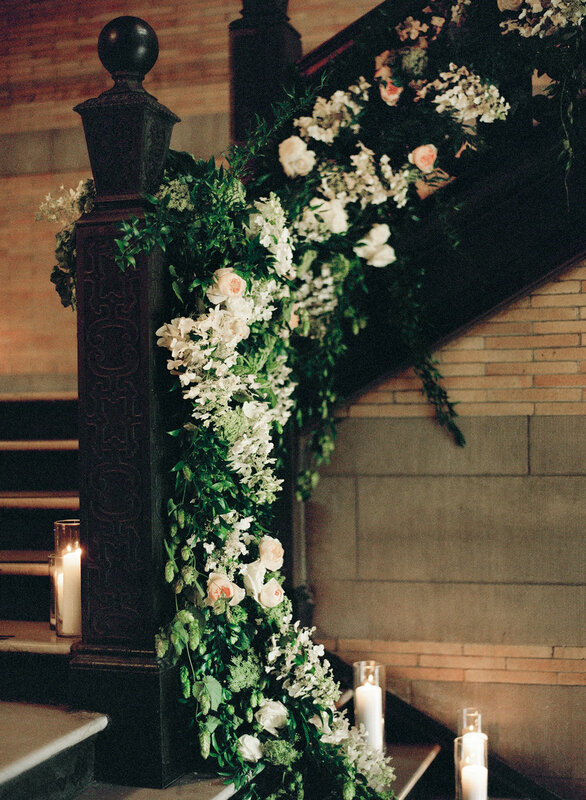 Guests were greeted by a lush cascading garland of flowering hops, hydrangea and roses adorning the entrance staircase. In the dining room long tables were set with low centerpieces with draping passion vines and tall candlelabras which helped enhanced the romantic mood of the night. If there ever was a photographer who could capture this beautiful day it was the artist Heather Warasaka. Flawless hair make-up by Face Time Beauty.